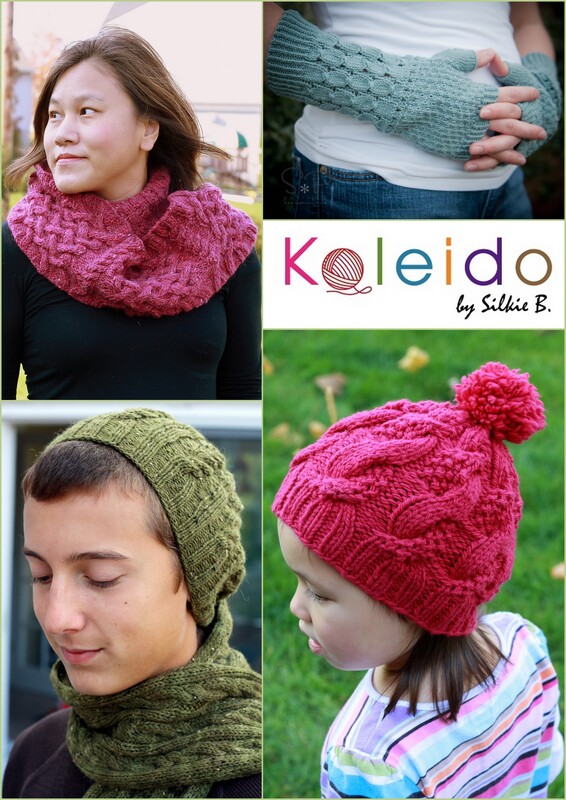 knitting in the round | Kaleido by Silkie B. Introducing Hannie – A little beanie design for both kids and adult. Please don’t be fooled by the cover, the pattern for this beanie has adult sizing! Hannie features allover double texture cable motif and it is perfect for both gender. Knit in bulky yarn and it will definitely keep you warm and cozy in this winter. Hannie knits up quickly and will be a perfect gift for the holiday. Height: 7.5 (8.5) inches tall without pompom. Yarn: Osprey by quince & co. (100% Wool, 25%; 170 yd [155 m] /100 g) Color: Rosa Rugosa; 1 (2) skein(s). NOTE: Substitute Osprey with any heavy worsted weight or bulky yarn that maintains the same gauge. Ribbing Body – Size 8 (5.00 mm): 16 inches circular (cir). Adjust needle sizes to obtain the correct gauge. Beanie Body – Size 10.5 (6.50 mm): 16 inches circular (cir). Adjust needle sizes to obtain the correct gauge. A set of size 10.5 (6.50 mm) dpn or a 29” or longer circular knitting for crown shaping using magic loop method. The pattern include written instruction and charts for the beanie body and crown shaping for both sizes. The pattern is now available in Ravelry. Just a couple days ago, I mentioned that my stripy version of convertable mittens will be available in the Interweave Knits Holiday issue… I knew that the issue will be available soon but I did not realize it is going to be that soon. The Knits Gifts issue is now available on sales everywhere! I love the Interweave Knits Holiday gift issue; the issue always fills with small projects great for holiday gift giving; project such as all kind of winter accessories, little toys and simple sweaters; of course the most important project will be my Flipper Mittens! 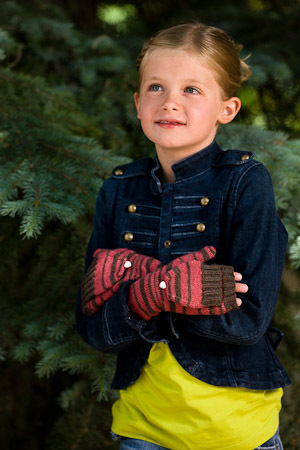 The pattern is written for kids and the size large will fit a typical 10 years old. But the pattern is easy to adopt to make it into a pair of adult mittens, just need to cast on more stitches and make sure it’s multiple of 4. If you would like me to give you a suggestion on how to adopt the pattern, feel free to contact me!